Step by step on how to create a Free Real Estate Landing Page with AssetColumn and their Landing Page Creator. Generate Real Estate Leads today with your Custom, Professional and easy to convert Landing Page. 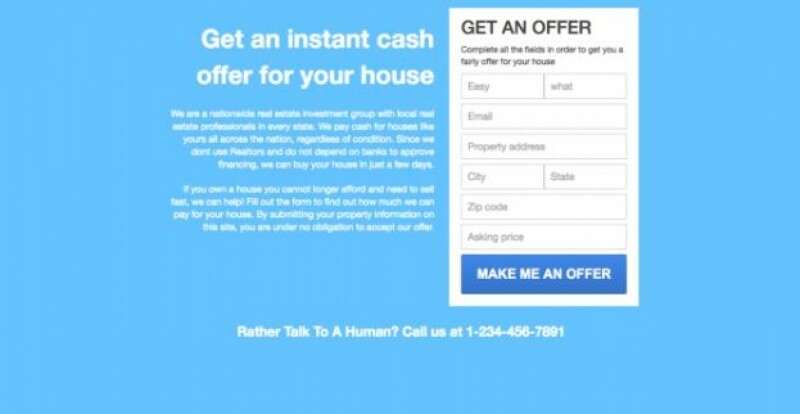 Landing pages help you create a lasting impression that translates to good results. In addition to this, it helps you save up on financial resources and it allows you to save up on time. You can also allow the guests of your site to minimize any type of distractions that will provide you with buyer and seller leads. Find out more about how to make the most of your landing page in the article below. You may think that a landing page is simply the first page for your site, but you can get more out of landing pages. If you are not convinced that a landing page is important, we have listed the benefits of having a properly designed landing page. You will be able to generate more lead, which results in more income. Next, you are able to find out the information that you need far more instantly because a landing page allows you to get straight to the point. Moreover, you can maximize and measure the success of your ad campaign immediately due to the efficiency and simplicity of your landing page. A landing page is a clear call to action. If you wish to convert visits to buyer and seller leads, it is important that the landing page will allow for immediate conversion. If you have more visitor conversion, there is a higher possibility of income for your site because the site traffic will result in a higher conversion. Site traffic does not automatically convert to conversion, but a landing page will make it easy to convert because it allows for an immediate call to action. In real estate, it is important to have a landing page that results in both buyer and seller leads. When you work with a landing page, you will be filling up a form that is targeted for lead generation. This means that you can stay away from other types of messages that are not related to lead generation. The information that you gather will all be relevant to generating buyer and seller leads. The simplicity of the details found on a landing page will allow for conversion that is effective and efficient for both the page owner and the site visitor. You are able to build a database of your site visitors with the use of a landing page. Moreover, you can track them easily since most landing pages will send you a text or an email when a site visitor has filled up your database. With a landing page, you will be able to easily determine the effectiveness of your campaign. The users would not be lost in a multitude of links and pages, which can even affect the positive outcome of your lead generation. If you do not have a landing page, it is far more difficult to track the success of your ad campaign since you do not know where to start. If your landing page yields more income, it means that you are on the right track. Your website will be more efficient when you have a landing page to welcome your site visitors because as stated, it will be easier for them to lose focus when they are faced with several links on your main page. An instant call to action will allow you to get what you want almost immediately without losing any chance of a lead generation. In addition to this, since you are able to maximize your website’s efficiency, you are far less able to lose any buyer or seller leads. Not all landing pages are created equal, which is why you need to ensure that your landing page has a great design that will attract a number of followers. In turn, this can lead to better lead generation. It is important to get to the point immediately because you want to grab the attention of the visitor’s attention immediately. A good landing page will convert visits to leads, but you could not do that if you stay away from your main point. You can generate more buyer and seller leads if the information that you need is available instantly. On top of that, the more informative and concise your landing page is, the higher the chance of gathering leads. Since you are counting on first impressions of your landing page for lead generation, the design of the landing page must be appealing. It is best to stick to a minimalist design since colorful landing pages can be more of a distraction than an asset. However, if the design is too plain, the visitors may think that you do not exert any effort in making your landing page. Choosing a proper design for your landing page can either make or break your first impression on the visitors of your site. Due to the variety of technology available nowadays, it is important that the landing page can be accessed through all types of gadgets. It is important that apart from a PC version of a landing page, you should also ensure that your landing page is responsive. This means that it must have a version compatible with your phone or your tablet so that you can maximize the accessibility of your site. It is important to have a landing page that is customizable. The landing page must contain basic information about you and it is important that you go straight to the point. This is because you want the site visitors to retain their attention on your page. If you keep this in mind, it is easier to generate buyer and seller leads. Not everyone has enough patience to fill up really long forms. When asking site visitors to fill up any type of form, you must ask for just their basic information that is important for your business. Any unnecessary information can cause the site visitor to lose their attention or get tired of filling up the needed information. How to Optimize the Pay Per Click Campaigns with the use of Landing Pages? You may think that paid traffic is bad for your site, but paid traffic is just as good as organic traffic. The PPC internet marketing model accounts for paid traffic by allowing the advertisement to pay for every click on their site or advertisement. If you wish for your PPC campaign to be successful, it should lead to a landing page. The landing page must come with an optimized headline and tagline. You must also get straight to the point by listing all the benefits of your business an immediate lead form. If you can maximize your landing page with the help of PPC campaigns, you can maximize your lead generation capacity. You do not have to worry about paying for your site traffic, more often than not, the user could not tell that you are using a paid marketing campaign. It is just important to have the site be on top of Google for you to maximize the result of your campaign. This will eventually lead to higher income for you. 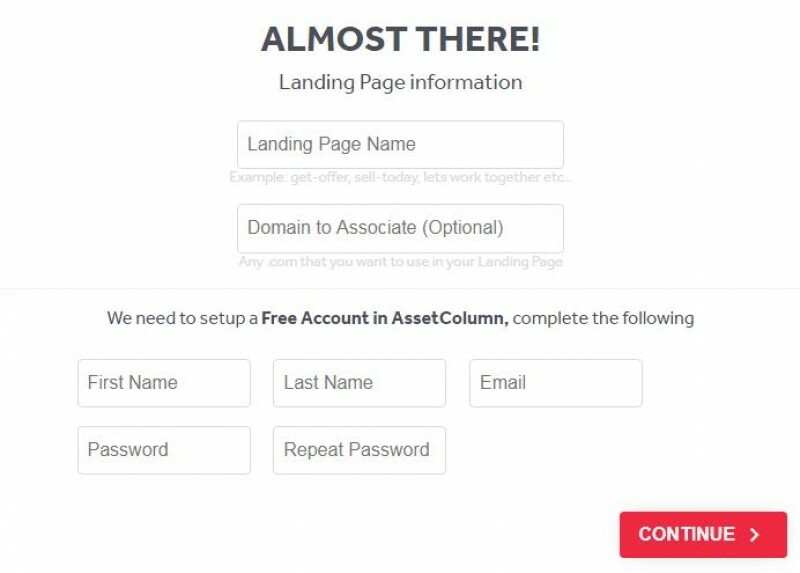 If you wish to personalize your landing page in order to get more leads on your sales, you can create a free landing page in AssetColumn.com. With a customized landing page, you can generate more leads for buyer and seller. You can use Asset Column’s free landing page feature with minimal cost and maximum efficiency when it comes to result. As an added benefit, we have also created this tutorial and ultimate know-how for our free landing page. This will help you if you have questions about creating your own landing page. We will provide answers to frequently asked questions and a step-by-step guide to make your own landing page. You will find out about the pricing, requirements, benefits, and other important details about creating a landing page on Asset Column on the frequently asked question section of this article. With this article, there will be no questions left unanswered when it comes to creating your own landing page. You can also choose to sign up with Asset Column before making your own landing page to make it easier and more convenient for you once you are in the process of creating your own landing page. Apart from the free landing page, there are several other benefits to having your own account with Asset Column as a Free Member. Before creating your own landing page, you can also choose to look at examples of other people’s landing pages via the Youtube video on the site. You can take your cue from these samples to determine how you want your landing page to look like. As stated, a great landing page will carry a minimalist design to allow for a more professional look. Asset Column also allows you to choose other designs, which will improve the look of your landing page and capture the essence of your business. The Basic Theme is available for Free for all users. However, if you purchase an Asset Column membership, you are able to choose more designs for your landing page. 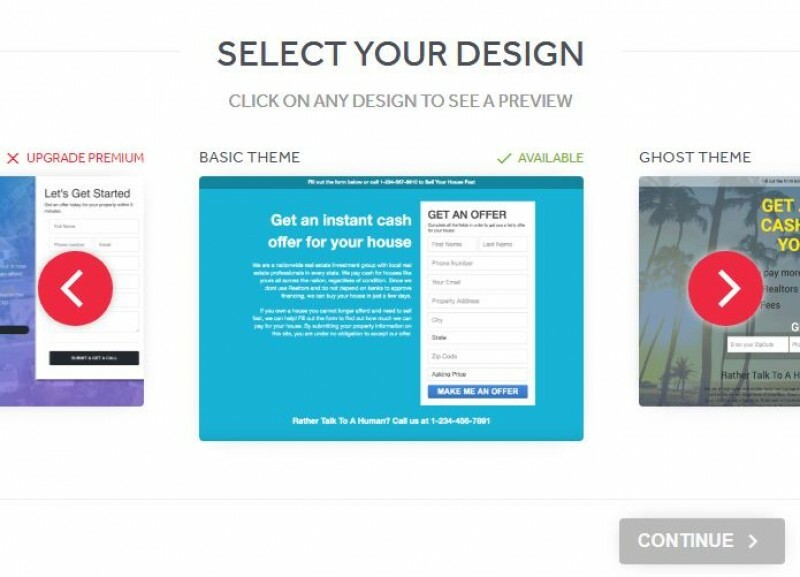 You will also be given a preview of how your landing page will look like depending on the design you choose. There are several designs to choose from and there will be several designs added per month. After choosing your design, you can proceed to enter your information by clicking the Continue button. This is the step where you need to key in all your necessary information. You get to name your landing page and you can also choose to enter a domain associated with your account. This step will also require you to create an account with Asset Column but you do not have to worry since this is a free account. (This is also the reason why we have suggested that you create an account during the first step of this process) Once you have entered all the necessary information, you can proceed with creating your landing page by pressing the Continue button. Congratulations! You now have your own landing page. You can now generate more buyer and seller leads. With your free landing page, your guests will contact you very easily through the form that is located. You can turn these site visits to real income since you will be able to get more buyer and seller leads. The better and more concise the information on your site, the easier it will be for your lead generation quest. And you can customize your landing page as much as you want pictures, texts, colors, form inputs and many more things! Apart from the landing pages, there are several other tools that you can use to maximize generator leads. At the AssetColumn page, you can choose the deal finder option, email marketing feature, and the properties website. Each tool is designed to yield better results for you and your business.